In 1886 the Union Depot train station opened on December 19th to passengers on Everett Street between Third and Fourth streets. 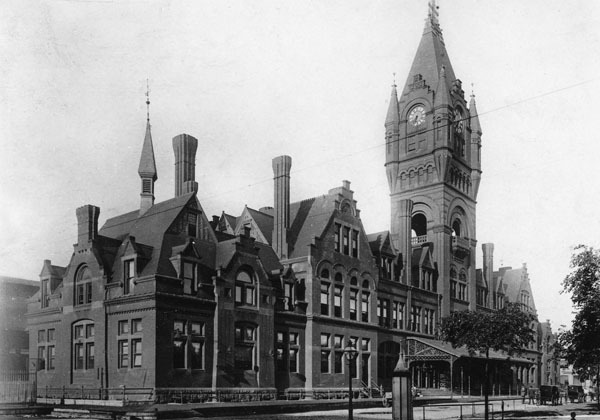 It was Milwaukee’s first grand railroad station and lasted until the new train station was built at 5th & St. Paul Avenue in 1965. It was torn down the following year in 1966.